Description: The first expansion of City of Heroes will allow you to play as the bad guy and try to turn the tide against the numerous heroes found in Paragon City. 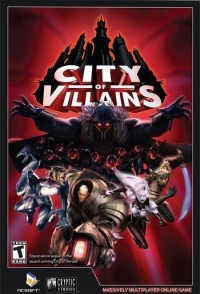 This is a list of VGCollect users who have City of Villains in their Collection. This is a list of VGCollect users who have City of Villains in their Sell List. This is a list of VGCollect users who have City of Villains in their Wish List.